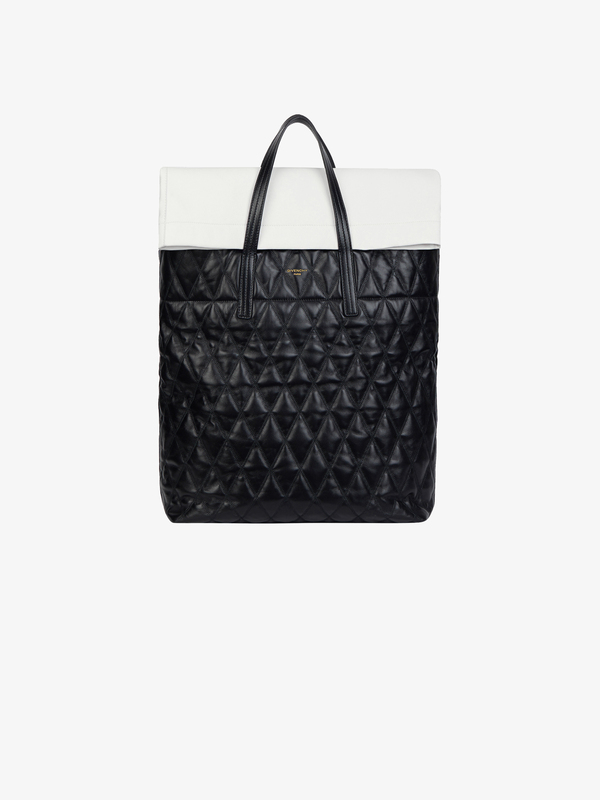 Jaw tote bag with black diamond-pattern leather with stitched smooth leather handles and smooth white leather insert that can be removed by zipper, to roll across the top of the bag. Adjustable shoulder strap with gold-finish metal buckle. 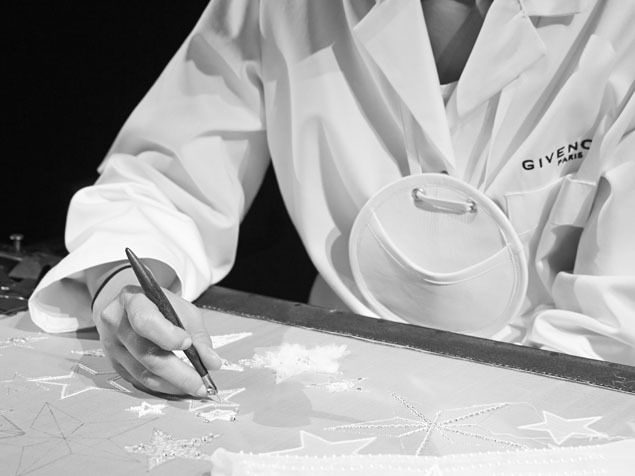 Subtle GIVENCHY signature in gold-tone metal lettering on one side.